Throughout the year, I’m always coming up with (what I think are) genius gift ideas for the grandparents. Of course, I ALWAYS forget to write them down, so a week and a half before Christmas, I’m always scrounging to throw something together to pop in the mail before the post office deadline. Procrastinator much? This year, I’ve been a little more on top of my game and actually ordered some of our gift ideas early! (So mom, it’s probably best if you don’t read any further. ;) I thought I’d share a few of our favorite tried and true simple gift ideas, as well as a few new ones, too! 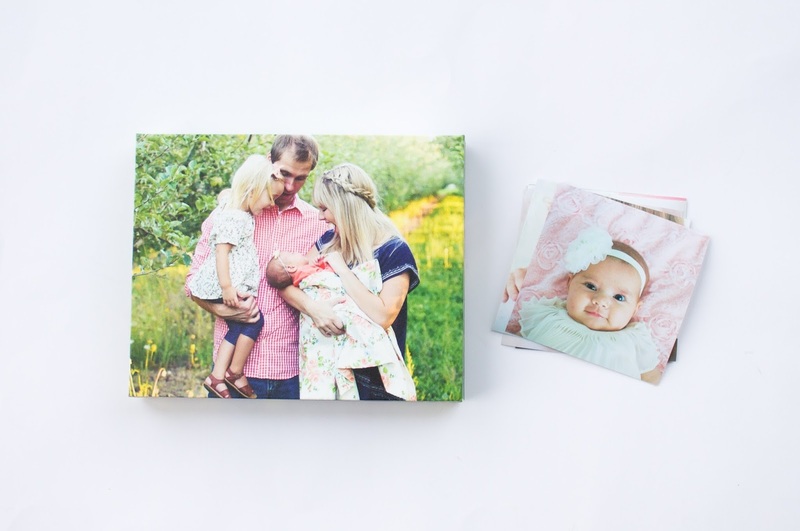 I am a HUGE fan of photo gifts…probably because I take so many photos all year long. (That’s not at all evident on the blog, right? Ha!) I’ve listed a few of our favorites to gift (we are always gifting photo items) as well as a few that we want to try out over the next few years. Personalized Calendar – Every year my in-laws get a personalized calendar of all their grandchildren. They love it! (Or so they always tell us ;) No, no, they really love it.) 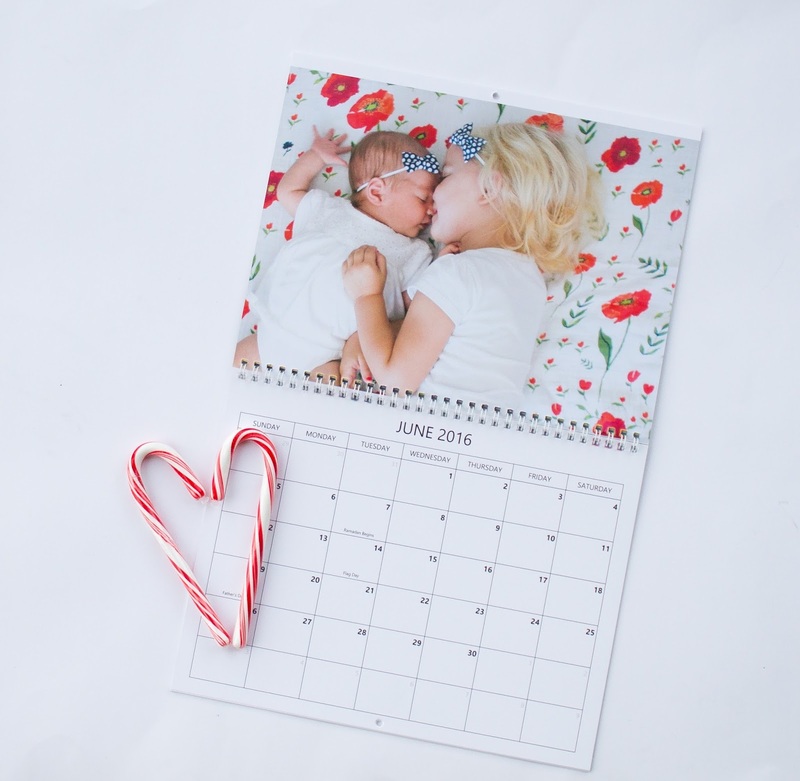 It’s a great way to showcase the last year’s photos, and include important dates & birthdays. I also love the idea of instead of using photographs, using your kids artwork as on the page! Photo Family Tree – I found this idea via Pinterest and thought it was such a cute idea. Not only is it a family tree of sorts, but it also includes photos (aka, the way to my heart. I’m such a visual person!) Super cute, clever idea. Homemade Snow Globe – Ellie would go crazy for this project, so we may be making this one next week! Love that it’s personalized for each kiddo, and the mason jars are totally adorable. Canvas Print – I’m a big fan of canvases, especially when I can find one for a decent price. I love the one that I printed above, I needed one that had all four of us in it! I ordered online and printed it at Staples and it totally exceeded my expectations. It turned out fabulous! 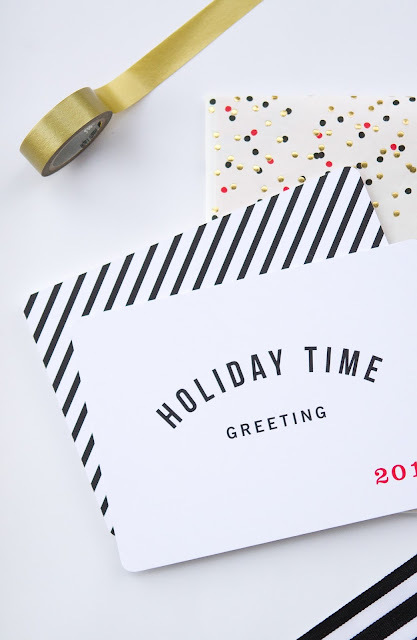 You can save 20% off your order by using code JOLLY20 by 12/26! This would be such a darling gift idea for a large family portrait or a photo of all the grandkids! Photo Puzzle –I’m not the biggest fan of puzzles (I know, I know!) but Ellie and Brian and a lot of others in our family LOVE them. This is on my list of gifts to give one year, especially with some cute faces plastered on it. Ha! Reindeer Thumbprint Ornament – I made this one with Ellie’s hand print one year and it’s SO cute. It’s the perfect, EASY craft (for crafters and non crafters alike) and makes for a cute, personalized grandkid gift! Hand Print Santa – We have an Ellie Santa handprint ornament on our tree and so do both her grandparents. It’s seriously my most favorite ornament and probably the only one that I would cry over if it ever broke. I love her tiny newborn hand! I need to make one with Addie’s hand before the season ends to add to the tree. These ones take a bit more work (making homemade salt dough!) but it’s SO worth it! Ceramic Photo Ornament – I ordered a few of these ceramic photo ornaments for gifts this year and ahh, they’re seriously adorable. I cannot wait to wrap up a few to mail (I know, I probably should have mailed them by now, but I’m so last minute on gifts this year! Ha!) These are also on sale over at Staples with code JOLLY20. These are Ellie’s favorite types of gifts. Not only does she get involved, she usually gets a bath afterwards (her fav! ha!) 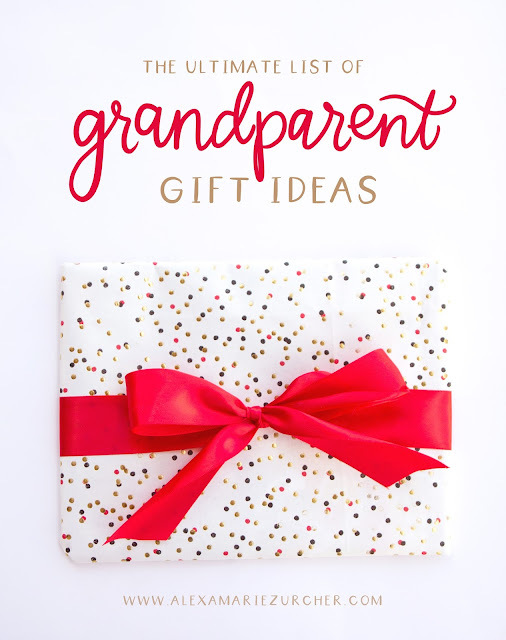 Plus, they usually melt grandparents hearts into puddles, so not a bad gift idea, right? Send a Hug – For grandparents that live far away, this is such a darling idea that your little one can be involved in! Reindeer Footprint Card – If you’re feeling brave with paint, this one is too cute for words. I cannot help it, little tiny footprints turn me into one of those gushing moms! Handprint Tree – We made this for my mom one year and it gets hung up every year at Christmas. You can see it HERE. What are your favorite grandparent gifts? I’d LOVE to add them to the list!